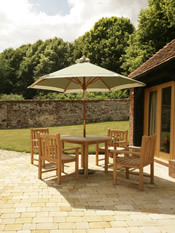 Fords Farm is nestled in the beautiful, peaceful and historic village of Ewelme near Wallingford in Oxfordshire. 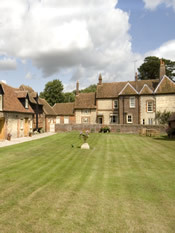 Within a short walk of the farm you can; walk along the Ridgeway, an ancient track thought to be Britain's oldest road, enjoy afternoon tea at the newly re-opened village shop or visit the 15th Century Church and Almshouses. The farmhouse, part of which dates back to the 15th Century, has maintained many original features such as the inglenook fireplace and flagstone flooring. The gardens too are traditionally styled and features such as the yew hedge and crazy paving give the impression to visitors that they have stepped back in time. 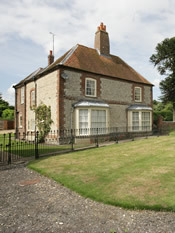 Fords Farm is thrilled to advertise our good quality self-catering apartment/cottage in Wallingford, . 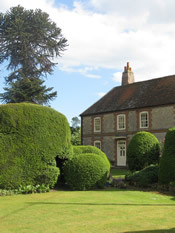 You can find Fords Farm b&b in Wallingford and other bed and breakfast accommodation bargains at BedPosts.